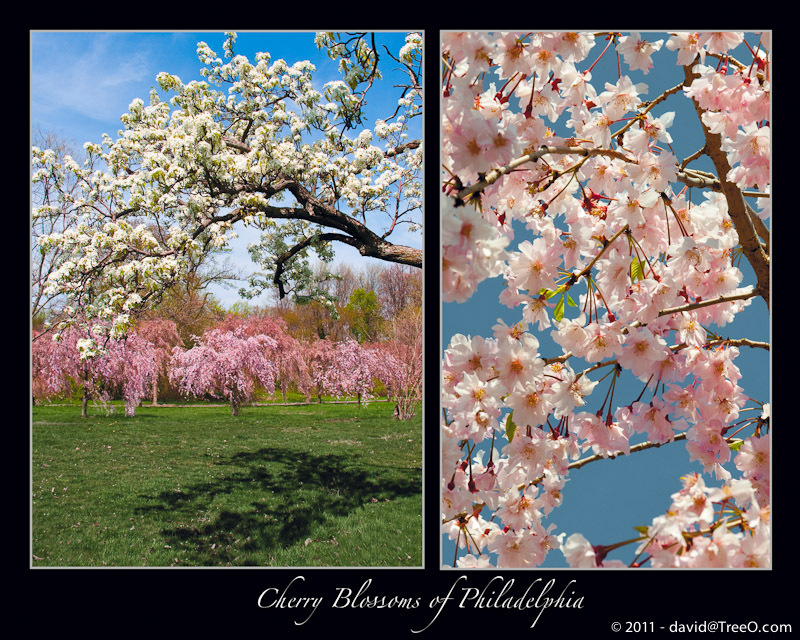 Most people know about the Cherry Blossom trees in Washington DC. They were a gift from Japan to the United States. To celebrate the Centennial, Japan gave 2000 trees to Philadelphia. Most are planted in Fairmount Park.